Our retail clients tell us that omni-channel is critical for maintaining an edge in today’s highly competitive retail market. This multi-channel approach to sales means that retailers can provide their customers with a seamless shopping experience—whether the customer is buying online through the retailer’s ecommerce site, browsing via a mobile device, contacting the retailer by phone or shopping in the bricks and mortar store. 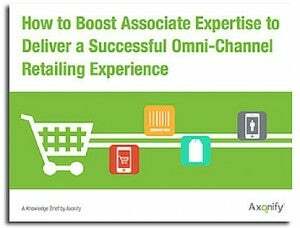 But, for an omni-channel strategy to work, retailers need to do more than implement technology; they need to rely heavily on their sales associates. 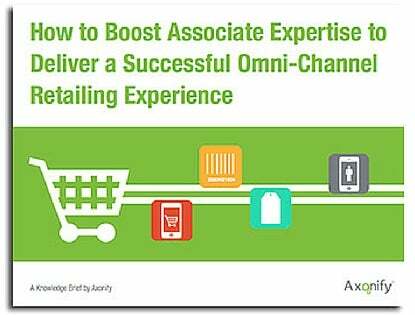 Yet retailers say associate training is one of the biggest barriers to becoming a successful omni-channel company. We thought we’d share it with you too because, even if you’re not in retail, understanding how to increase employee knowledge is important in every industry for building and sustaining competitive advantage.